Why are so many people searching the internet for hypoallergenic dogs? Did you know about 15% of the human population is allergic to animals? It's true. And if you are an allergy sufferer, owning a dog or cat means you either deal with the misery of flare-ups or live a life without the love and affection of a furry companion... unless of course there is a non-allergenic dog breed? The fact of the matter is there really isn't such a thing as a "non-allergenic" dog breed. 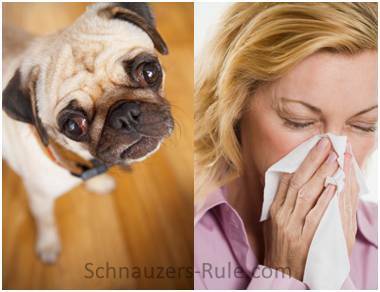 You see, what triggers the flare-ups for allergy sufferers are: dander (dog’s skin flakes), saliva, and urine. And EVERY dog produces all of these. But luckily, there are certain dog breeds that are less likely to cause an allergy sufferer to have a reaction. Some refer to them as hypoallergenic dogs, allergy-free dogs, non-shedding dogs, or even as people dogs. But whatever you call them, the good news is there's no reason why those suffering with allergies to also also suffer a life without the loving companionship of man’s best friend. In order for an allergy sufferer to find a dog they can "live with", they should consider choosing a dog from one of the breeds that have the least amount of dander and breeds that don't slobber or drool a lot. These are the breeds considered to be hypoallergenic dogs and are probably a better choice for allergy sufferers than other dog breeds. 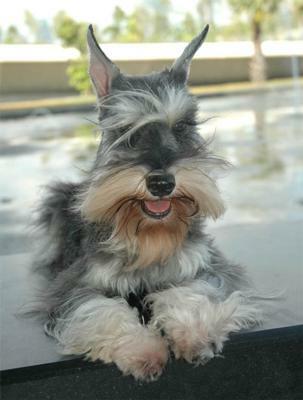 And on the top 10 dog breeds list for allergy sufferers is... the Miniature Schnauzer. If you suffer from allergies and have decided to add a dog to your family, whether its a Miniature Schnauzer or any other dog breed... before you bring Fido home, spend some time with the dog and see if your allergies flare. Each allergy sufferer is different, and the so-called hypoallergenic dog that causes no reaction in some people may cause an allergic reaction with others. Only you will be able to determine which dog breed is best suited for you. Too many people with allergies decide to get a family pet without really thinking through the misery of ongoing flareups and reactions to them. And then, too often, they end up surrendering the pet to the pound or rescue organization. This is not good for the owner or the pet. To avoid this emotional heartbreak in your family, be sure you are ready to commit to the dog and have taken all the precautions to ease or minimize your allergic reactions before adding a new dog to your family. dog health tip: Did you know some dogs also suffer from allergies? Click here, to find out what causes dog allergies and treatment options available. • Dander – You can help reduce the amount of dander by bathing your dog often. This also washes away other allergens such as dust and pollen that may have collected on your dog’s fur (which can then be transferred onto your clothing, carpet, upholstered furniture, bed, etc..). • Saliva - Since saliva causes an allergic response in some people, do not let your dog lick you especially, on the face. 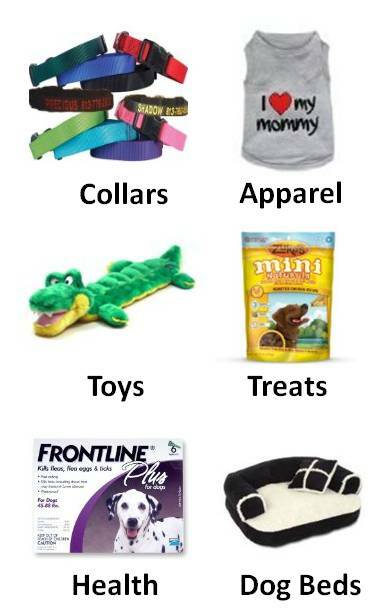 • Urine – Housebreak your puppy right away to avoid this allergen or get a dog that's already potty trained! • Off the Bed – Keep your dog off your bed so the dog's animal dander or saliva doesn’t collect on your pillows causing your symptoms to worsen during the night. • Wash Up – Wash your hands after having contact with your dog. • Helpful Products - HEPA vacuum cleaners and bags will help reduce the amount of allergens in the air of your home. And air purifiers can offer relief by removing per dander (not mention other allergens like pollen, mold, dust, etc..). So for the allergy sufferer, having a dog in your life IS POSSIBLE! A Schnauzer's Aroo doesn't cause an Achoo! "Knowledge Share"... If you found this page on Hypoallergenic Dogs helpful and informative, please share it with your dog-loving friends by clicking on one of the share links (like facebook, twitter, and google +1) located at the top right or bottom of this page.